Who doesn't love Halloween candy? I used to stock up a month ahead on goodies for trick-or-treaters...but found that I ate too many of this little bite sized bars, so this year I'll be waiting 'til a little closer to the date to buy my handouts to prevent an extra pound or two from creeping up on me. One thing that does trouble me, though, is how different the candy is now from when we were kids. It's made with cheaper - and more unhealthy - ingredients. Everything is artificial, it seems. o All natural origin colors, coming from plants like beets, red cabbage, etc. 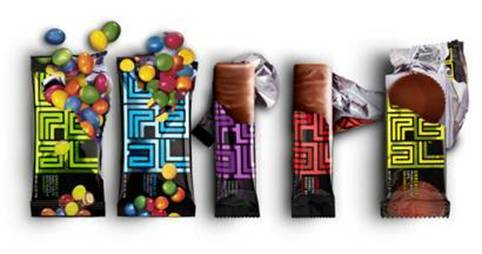 UNREAL are available at prices comparable to other major candy brands and can be found at major retailers, nationwide, including CVS, Kroger, Staples and BJ’s Wholesale Clubs.